We simply love these Mexican False Heather! Though not dramatic, they are a sheer delight to have in one’s garden. A non-stop bloomer to cheer us everyday! Light: Prefers indirect sunlight for best foliage colour. 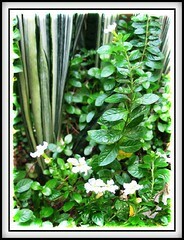 Though can tolerate full sun, foliage can get burnt easily and plant become leggy. Soil: Grow best in fertile soil. Propagation: From tip cuttings of 4-6 ins. or by dividing large clumps. I’m sure they can also be grown from seeds as I’ve noticed that these False Heather self-sow too, besides rooting where branches touch the ground! Features: A low growing perennial sub-shrub with highly branched and flat feathery sprays of foliage that are fernlike in appearance. 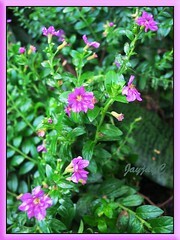 Their small oblong leaves are fine textured, glossy and medium to dark green in colour.Cuphea hyssopifolia is a prolific bloomer that showers all year round with beautiful tiny flowers measuring 1 cm. across in various shades of white, lavender, pink and purple. 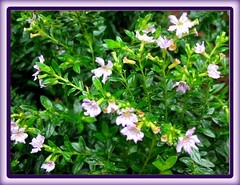 Usage: Mexican False Heather is a perfect choice as a permanent evergreen groundcover in beds and borders. 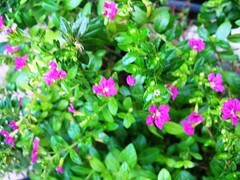 Moreover, its almost continuous flowering is most appealing to add colour to one’s garden. Being a low maintenance shrub that requires minimal pruning and hardly bothered by pests, it’ll be excellent for commercial plantings too. 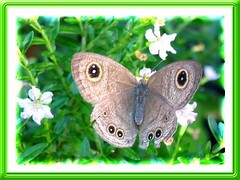 It can also blend well with other plants in container gardening or hanging baskets, especially the dwarf form. 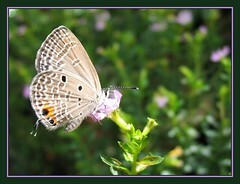 Most attractive to butterflies and bees! Care: Prune lightly if the plant becomes scraggly or trim it to the ground if it becomes leggy and it’ll grow back easily every time with lush growth and more blooms. For temperate zones: Hardiness – USDA Zone 9-11. 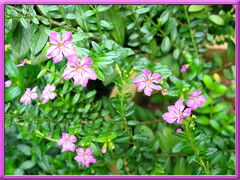 A tender tropical plant that is quite popular in warm winter regions. Avoid freezing temperatures that can kill it. More information from Floridata! 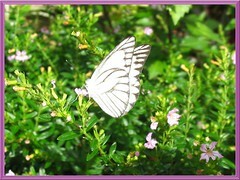 We grow four varieties in our tropical garden – white, medium-pink, lavender and purple flowers. My favourites are the white and lavender as their flowers contrast excellently with their dark foliage and can be visibly seen from afar! Your Mexican Heather is so beautiful. Mine never seemed to flower. I guess they need some sun as I rarely get them in long term basis and my garden is very much in shaded area. Thanks, James. 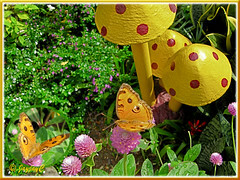 Shower these with lots of sunlight, not to strong though and they’ll reward you generously with blooms! Yup your heather looks great.. mine blooms but at times it goes bare and it’s quite disheartening.. i wonder why..
I’m trying to find mexican heather seeds and am not finding them. do you know of a resource?